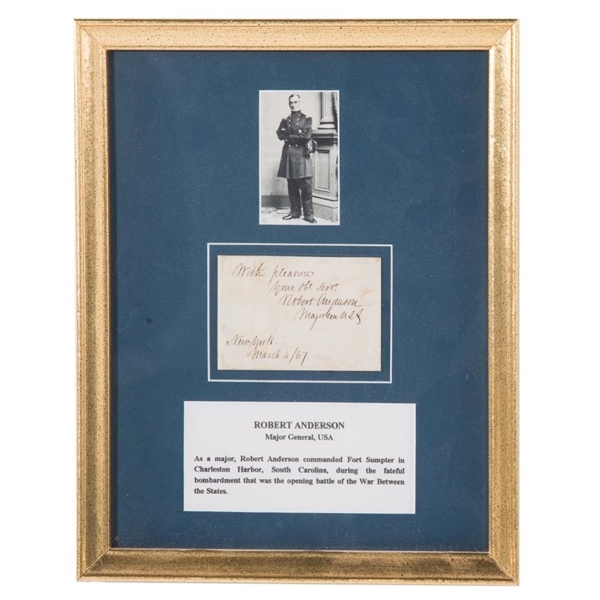 Union General (1805-1871) who commanded three United States Forts.Known mostly as the Commander of Fort Sumpter,during Confederate bombardment April 12-14, 1861,that started the Civil War. clipped signature from letter " With pleasure Your obt. Servt. 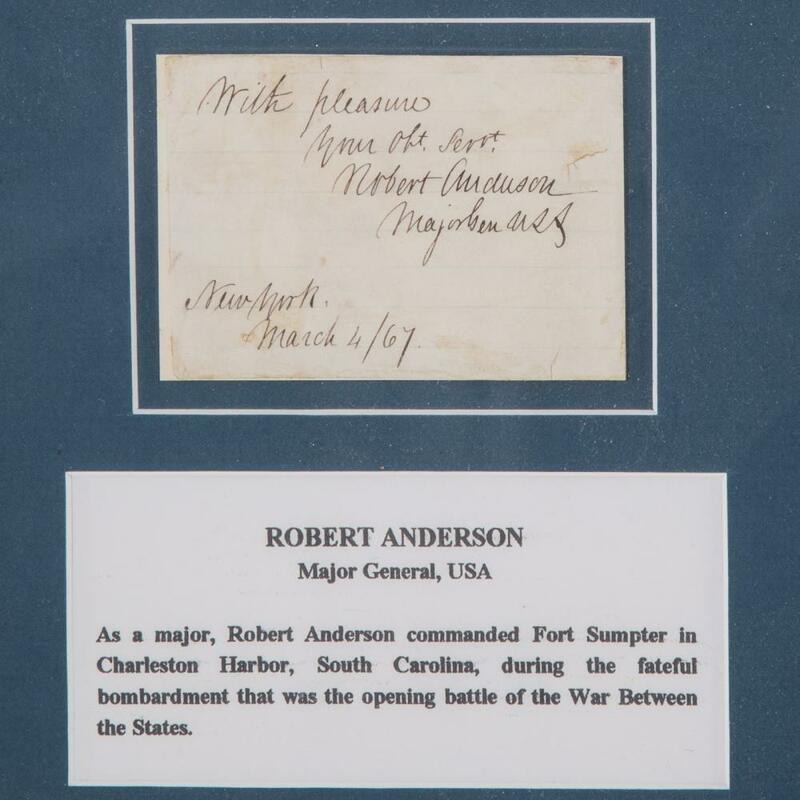 Robert Anderson Major Gen.USS New York, dated March 4, 1867, in giltwood frame.